Comes with a built-in storage shelf, free deluxe accessories, and a bonus three-piece flannel pillow cover set. 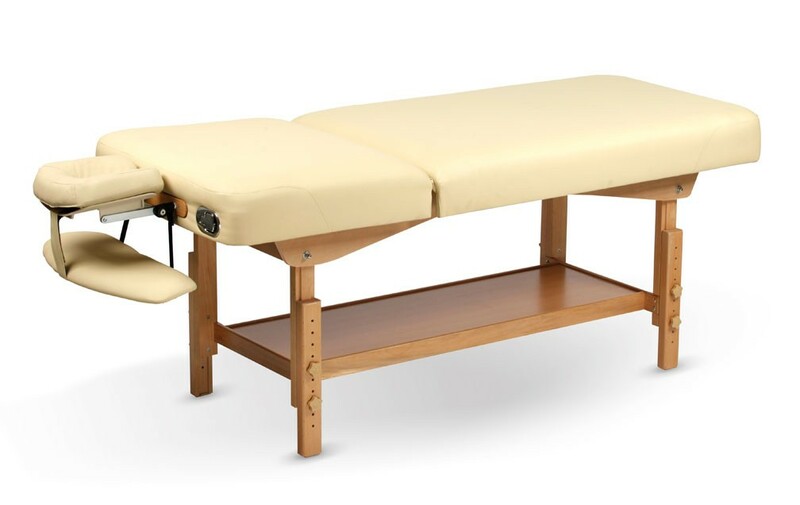 Our gorgeous Classico BodyChoice stationary Massage table provides the stability and long life that you expect from a stationary table and then some. Its classic design features an adjustable backrest that moves up and down effortlessly thanks to its quiet pneumatic gas-spring technology providing countless ways to position your client comfortably. The understructure of the table is set back from the table edges, allowing you to engage in better body mechanics and gain easier access to your clients. 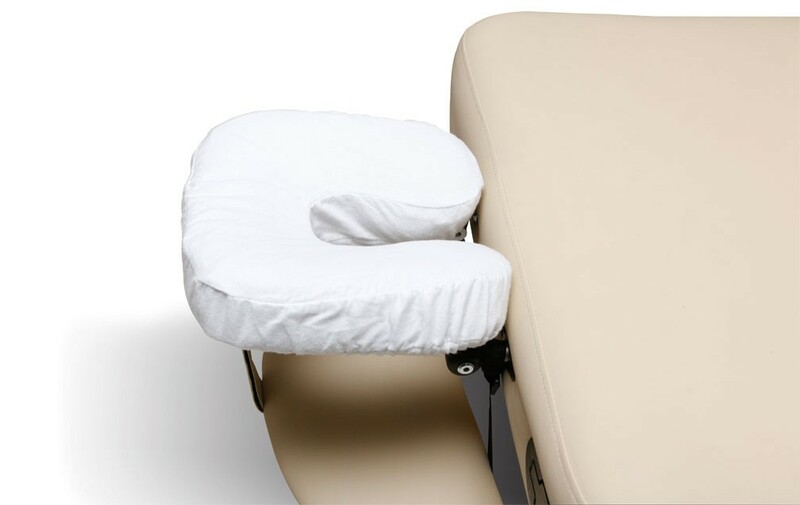 It is also equipped with a useful built-in storage shelf to store all of your massage accessories. The Classico BodyChoice’s structural system is made of high-quality beech hardwood which ensures professional strength. Its Double-Lock Leg Adjusters allow you to raise and lower the height of the table while keeping it doubly stable and secure. Its padding is comprised 1" thick NASA-developed viscoelastic memory foam over 2" thick high-density, small-cell foam. 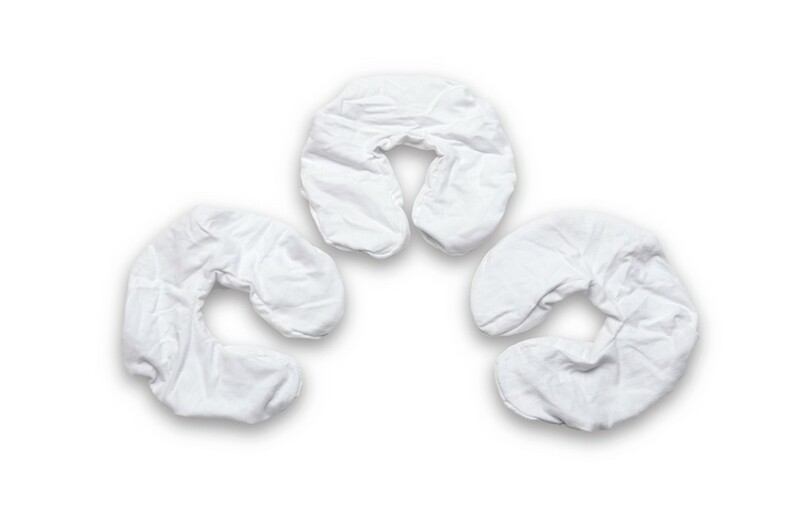 Memory foam reacts to body temperature to evenly distribute the body's weight across the cushion; your clients practically melt into a state of relaxation! The Classico BodyChoice massage table is covered with environmentally and skin friendly PU-leather (oil and waterproof) for the comfort of your clients. The Classico BodyChoice massage table includes an ergonomic-adjustable headrest with a memory-foam ergonomic face pillow. 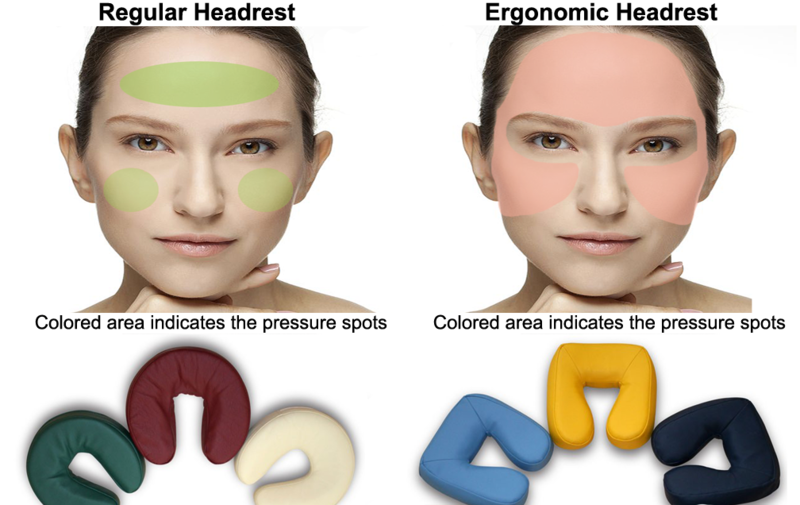 The ergonomic headrest and face pillow are designed to fit the face’s contours and avoid pressure from building up on any one point for the ultimate in client relaxation. This beautiful table also comes with a bonus three-piece flannel pillow-cover set in addition to its other free accessories. Adjustable Heights 28" - 35"
Q1. I opened my table but I can't find the headrest? Answer: The headrest is attached to the underside of the table with elastic straps. Q2. What do I use to clean the table? Q3. What is the best table for me? Answer: We sell tables for all types of massage and bodywork. 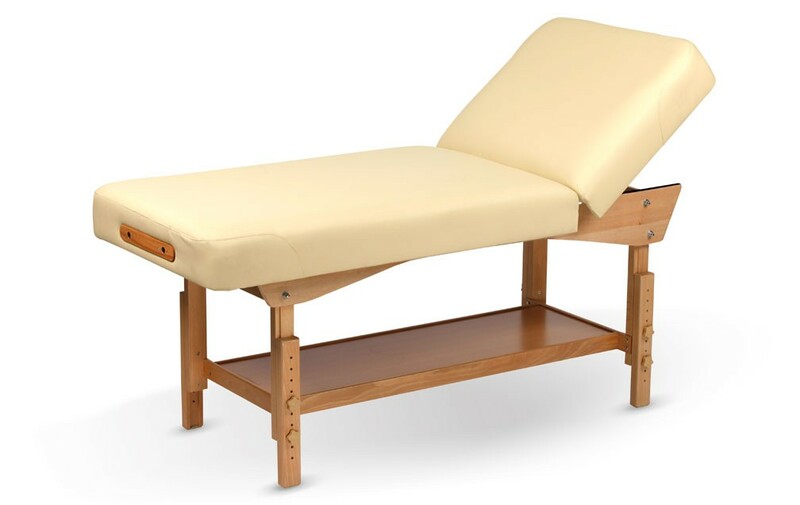 Personal preference comes into play when choosing a massage table but there are also some basic guidelines to follow. 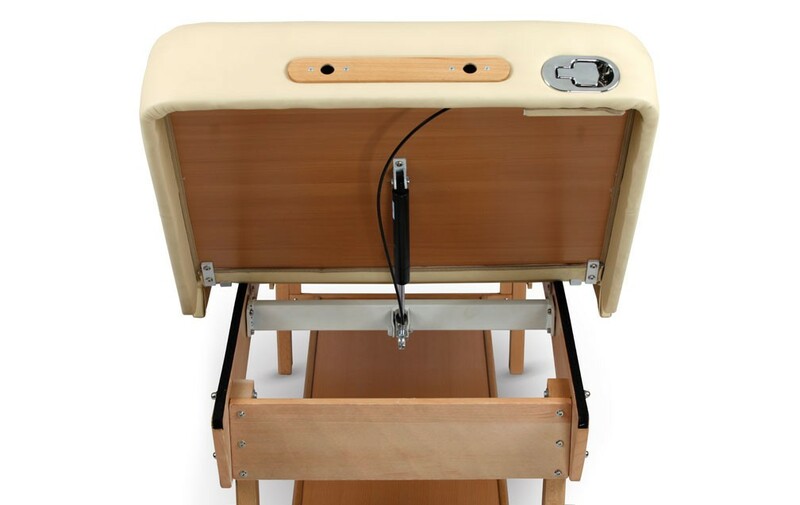 Here (Massage Table Buyer's Guide) are questions we commonly receive with regards to what tables are best suited for specific massage techniques.